Following a car accident or slip and fall in the keys, it is important to contact a local law enforcement agency in order to preserve and document the scene. People say this for fear that their insurance rates will increase if they report a claim. There are many problems with this type of scenario. It is always to the benefit of the victim of a car crass to contact the local police. Without law enforcement documenting the accident scene, obtaining statements, observing property damage, and issuing a traffic ticket, the insurance company may later deny an injury or property damage claim. This is especially true if the other party denies aspects of what really happened during the accident. Always call 911 at the scene of an accident. The Florida Keys (Monroe County) has several law enforcement agencies that may respond to an auto accident depending on the location. When you call 911 and notify them of your exact location, dispatch will notify the proper agency. While the Monroe Country Sheriff’s Office is the primary law enforcement agency for the County, other local, state and federal agencies also operate in the Florida Keys. 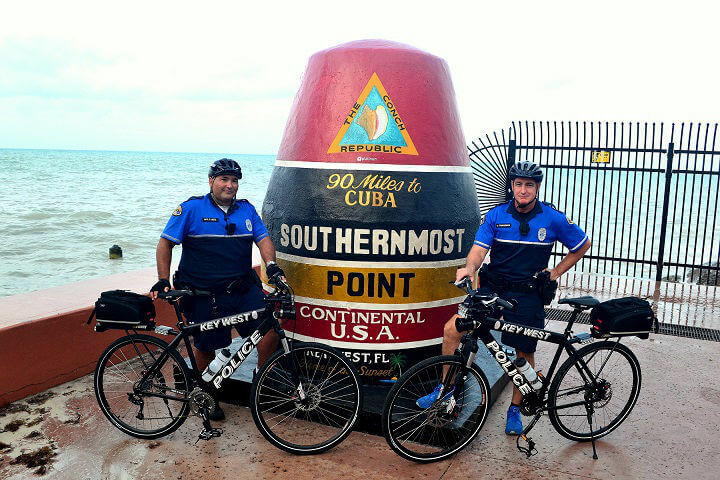 The Florida Highway Patrol investigates most accidents on the Keys’ roadways, however the City of Key West also has their own police agency within the city perimeter. Although we always suggest that the police are called following an auto accident, if for whatever reason the police do not come, you can still present a claim for your injuries or property damage; give us a call and we will be more than happy to discuss it with you. The men and woman in blue often get an unfair a bad rap. 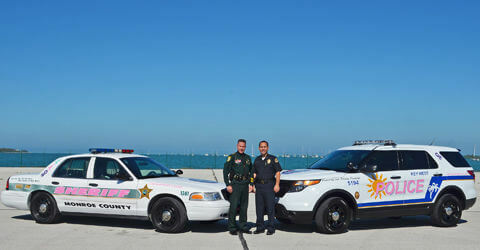 At Florida Keys Injury, we understand and appreciate that they do their best to serve and protect our community. After the police arrive at the scene of the accident, do your best to calmly and respectfully explain what happened. If both parties disagree about how the crash occurred, there are no witnesses, and it is not a rear-end crash (in Florida the rear driver is presumed at fault), the officer or sheriff will not likely issue anyone a ticket. Don’t get upset at the officer or sheriff. It is standard, under those circumstances, to not issue anyone a ticket. If nobody was issued a traffic ticket for the crash, that is perfectly fine. This will not, in anyway, impair our ability to get you compensated for your injuries. 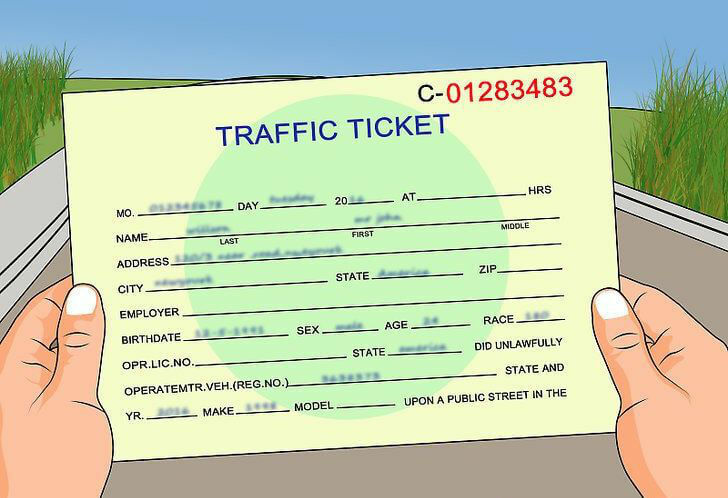 Surprisingly enough, in Florida, the fact that a traffic ticket was issued is inadmissible at any trial. Although inadmissible at trial, when a ticket is issued, the insurance will certainly use that fact as a consideration in settlement. So, while tickets being issued to the at-fault driver is a good thing, it will not make-or-break your case.